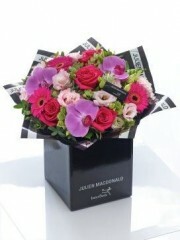 For a perfect gift, look no further than Ellon Flowers. 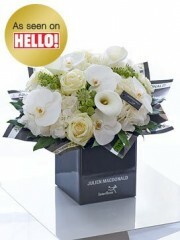 Our florists in Ellon are proud to provide a number of fresh bouquets designed by the acclaimed designer Julien MacDonald. 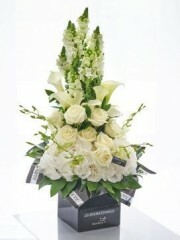 These bouquets are incredibly stunning and are bound to make an eye catching addition to anyone’s home. Ordering a fresh flower bouquet from Ellon flower delivery is easy and simple, just as it should be. Flowers Ellon are able to provide fantastic local delivery which guarantees that your bouquet will be delivered safely and efficiently. The florists in Ellon are part of the Interflora brand, which means that we can also deliver beautiful flowers all over the UK, so distance will never be an issue when delivering a gorgeous gift. Furthermore, we are also able to deliver internationally in 140 different countries around the world, meaning that it is almost impossible to miss out on our stunning collection of varied bouquets and gifts. 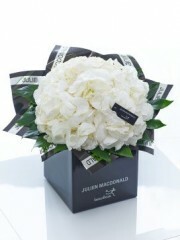 The Julien MacDonald collection is a fantastic choice whether you are ordering flowers for yourself or as a gift, as their timeless beauty will surely please everyone’s tastes. 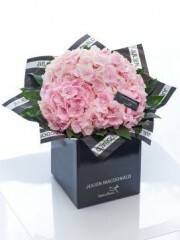 Ellon Flowers recognise how important your purchase is, which is why our dedicated team carefully oversee every step of your order, ensuring that your Julien MacDonald gift will always be in safe hands. Furthermore, our florists in Ellon are happy to help you with any queries you may have, or provide any advice needed concerning your special order. 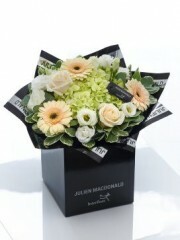 We recognise just how beautiful and precious flowers are, and we will always treat your Julien MacDonald order as such. Ellon florists have over 40 years of experience in the floristry industry, meaning that your Julien MacDonald bouquet will be of the highest quality. Therefore, choosing Ellon Flowers to provide you with a fantastic Julien MacDonald bouquet is a great decision, and one you definitely won’t regret. 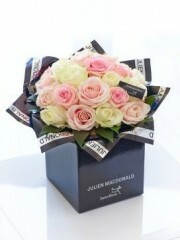 Ellon flower delivery service guarantees that your beautifully designed Julien MacDonald flowers won’t disappoint. Choosing a Julien MacDonald flower arrangement from Ellon Flowers is a sure way to purchase a stylish and meaningful bouquet. 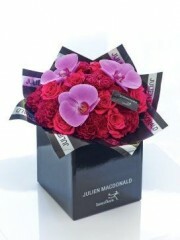 The florists in Ellon are proud to provide a variety of Julien MacDonald’s beautiful bouquets for your choosing. For a simple and classic flower arrangement we can offer the sophisticated white hydrangea or the dreamy 24 rose hand tied bouquets, which guarantee a meaningful and memorable gift. Amongst our Julien MacDonald collection her at Flowers Ellon you can also opt for the Happiness orchid and rose hand tied bouquet, or a mystical Fairy Tale arrangement of orchids and roses. 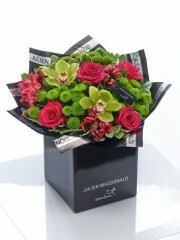 Our Julien MacDonald range can also offer truly show stopping arrangements, which the Ellon flower delivery service will safely deliver to your door. Amongst these arrangements are the breath taking radiant and vibrant orchid bouquets, and the aptly named “Showstopper” arrangement, which will sweep anyone off their feet. The Ellon florists are sure that this stunning Julien MacDonald collection is sure to impress everyone, which is why there is no need to look any further to purchase your next gorgeous fresh flower bouquet. 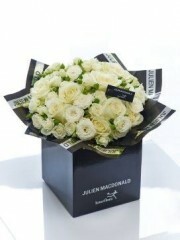 The wide variety of styles and use of different flowers means that each Julien MacDonald arrangement provided by Ellon Flowers is unique and difficult to forget. 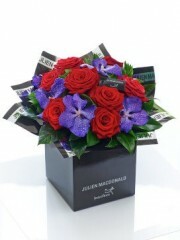 Whether you are looking for a stunning gift or a colourful addition to your home, purchasing a Julien MacDonald bouquet from Ellon flower delivery is a fantastic choice. We will take care of everything for you, the only difficult choice you’ll have to make is choosing which Julien MacDonald bouquet you wish to buy! 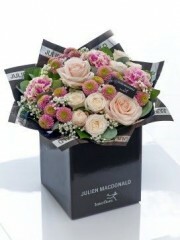 Choose Ellon Flowers for a memorable and beautiful Julien MacDonald flower arrangement.